I finished up my X-Plus quilt top this weekend. I really love how it all came together. I spent a crazy amount of time trying to match up and align the top and bottom parts of the plus for each block. I'm glad I did because a wonky plus sign is definitely not the look I'm going for. I also did a lot of ironing. As you can see from my ironing techniques, I iron to the side AND I press my seams open. Here's how I determine how I'm going to iron something. If I have to match a seam, I iron open. If I don't have to match the seam, I iron to the side. I find matching my seams works better this way. I've tried to nest seams before and I always end up ironing a seam the wrong direction and it causes lots of unnecessary frustration. Which technique do you prefer and why? I'm falling in love with this quilt top. I love the Denyse Schmidt fabrics and I love the block pattern. The scrappiness is wonderful. It's a good thing this quilt is for me to keep. I know not everyone is a lover of the DS collections, but there is just something about the fabrics that draw me in. Unfortunately, this quilt top is going back in a basket to be basted/quilted at a later date. I've got some other projects that have deadlines coming up. 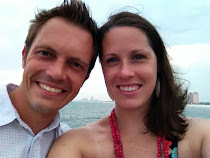 Wedding dates and due dates tend to trump personal projects. At least I have something to look forward to completing in the near future. Really love that quilt top! It's beautiful-worth the work for sure! What a lovely quilt! I tend to press to the side most of the time. You did a great job of matching your points! Well done! I really love this quilt! The fabrics, the pattern, everything!! I press to the side mostly because I'm lazy. I think open seams give a better flatter top (in most instances, not all). If I'm piecing in rows the sewing rows together and seams must match I'm pretty careful about sewing them in opposite directions so they will nest. My seams line up better when nested. Love the fabrics and the quilt top. Love this pattern and your fabric choices are terrific! This looks amazing, Janet! 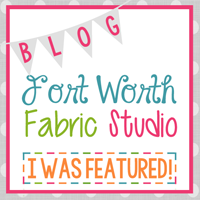 I do love all of these fabrics and you used them beautifully! That turned out beautiful!! Great work. like you i have fallen in love with this quilt, so colourful, I tend to press my seams to one side as I find them easier to match than when open, they seem to snuggle together , not that I do not have to unpick sometimes. 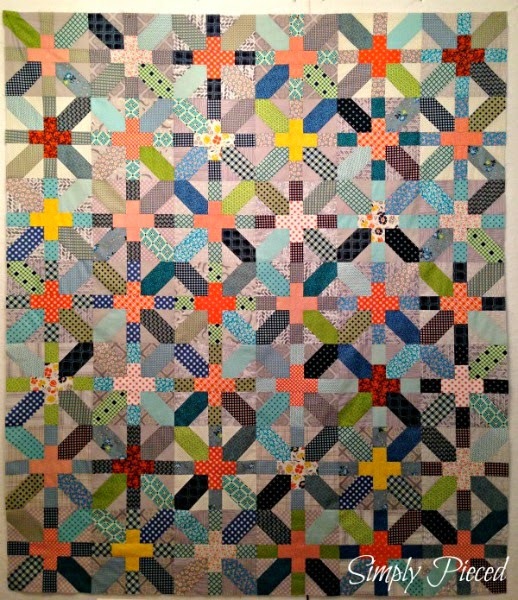 Very nice play of colors in the quilt top! I mostly press to the side because it is easier. I keep working out systems to get the directions right for nesting--and I do find matching easier when I nest. Only when I have a need to do I press open--like when I make blocks with no set plan where they will end up, or lots of bulk. <3 <3 <3 You're really making me want to finally try this pattern. Love that the center crosses have a common color. It looks amazing! Amazing fabric; love the way you've put it together. I always press to the side, but I don't really know why. Habit, maybe? I sometimes find a seam flips the wrong way as I'm sewing. Do you find that happens with seams that are pressed open? Your quilt top looks great. I'm sure you'll be anxious to get back to it. We both have a quilt to show using DS fabrics! :) Love yours! I press both ways...depending on which gives me a flatter seam. Gorgeous quilt! I've changed my pressing a lot since I started - I didn't know about pressing seams open until a couple of years ago. I tend to look at the block and who it's going next too and just listen - usually the block tells me! Very nice. I like how you used the warm and cool color scheme. I press to the side, and try to nest if I can. For some reason it just seems stronger that way to me and I never know how I'm going to do my quilting so I like to keep my options open. This is so beautiful! Where did you get the pattern? As for ironing, I really hate ironing seams open. And I have a REAL hard time matching up seams when seams are open. It's so much easier for me to nest the seams. I try to plan out my seams so that I can spiral them so they lay flat. love, love, love this. Its scrappy wonderful. 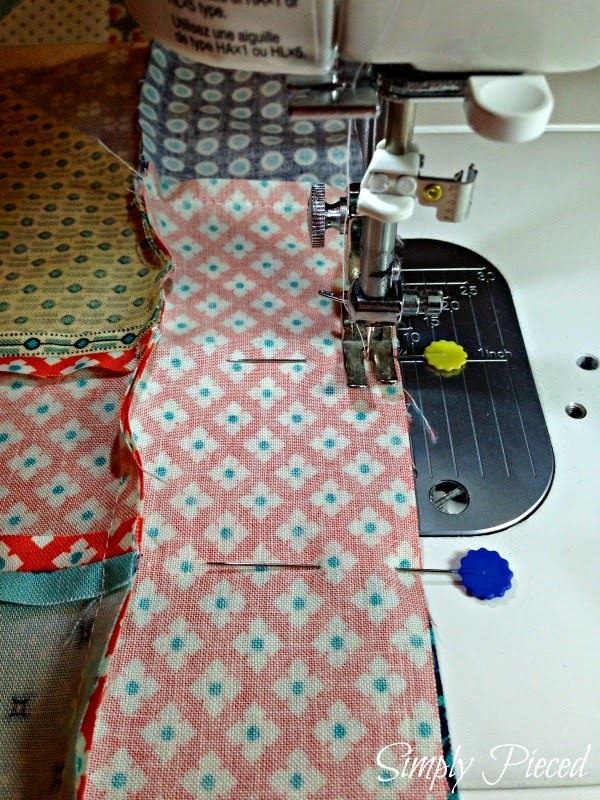 When seams are pressed open the blocks sure do lay nice and flat, however I'm a longarm quilter and when seams are pressed open it makes it hard to sew in the ditch as there really isn't a ditch to stitch. Not always a concern but something to think about. Love the color/fabrics of your X plus quilt. I have always admired the x and + pattern... And your beautiful top is no exception! Those fabrics shine in this design. I prefer to press seams open and find these much easier to match. I rarely press seams to the side. I love how flat the quilt top lays. Not good if you stitch in the ditch. But great for any other quilting design you choose! Your quilt top is stunning! I prefer to press open for the flat look and I think pressing to the side can be confusing on some quilts. it's beautiful! i love the fabrics you used. poor personal projects put off for those pesky due dates! i hear ya on that one. =) and too bad for you because this is a lovely quilt! i'm sure you will love snuggling under it and examining all those great DS fabrics when you finally get to finish it. You can count me in as a fellow DS lover. 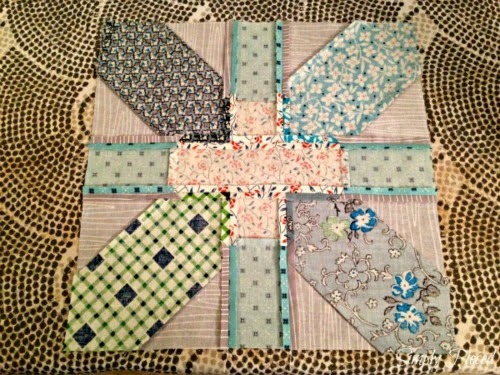 Beautiful quilt top, love the fabrics! I tend to press open as I find the seams lie flatter then and are easier for me to quilt, but to be honest I don't really know what's best!! I love love love this quilt! I am usually not a fan of scrappy, but your quilt looks amazing! Hi there, congratulations on an excellent quilt. I love the use of different shades of grey fabrics for backgrounds. I prefer to press seams flat rather than open, primarily because the batting may "beard" (migrate) through the seam allowance with pressing open. Just my experience. Thanks for the inspirations, as a quilt judge, this is one I would want to take home! Did you use the Bad Skirt X-plus directions? I'm hoping to start this quilt pattern soon and am looking for directions for a block that is slightly bigger than Bad Skirt. Would love to hear the dimensions of your piecing if it is different. Thanks. I am interested in the dimensions, also. I have started and stopped several X+Plus blocks and have become frustrated with the scale of my blocks. I would love to know the dimensions of the pieces. Your quilt is lovely. Warm pluses and Cool Xs = brilliant. Oh I love this piece! It's fabulous. Really cool effect. I love the use of color in this quilt. Would you mind if I used your photo? I'm doing a post on x and + quilts. I will link back to you.